Condition	 The ink has faded somewhat, otherwise good, framed. 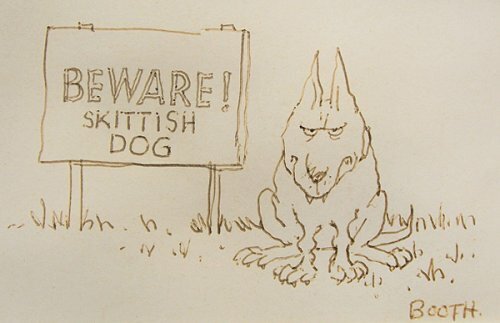 Publication Information	 Not published, rather a version of one of Booth’s most recognized cartoons. The published version appeared in The New Yorker on August 15th, 1977. A third version appears in the book, Omnibooth: The Best of George Booth. A copy of the book accompanies the purchase of the artwork.